Previously Frozen Cod Fillets or Fresh Farm Raised Salmon Fillets - $5.99 lb. Boneless Center Cut Pork Chops - $2.69 lb. Granny Smith Apples, Fuji apples or Red Anjou Pears - $1.79 lb. Sara Lee Oven Roasted Honey Turkey Breast - $8.49 lb. D&W Black Forest Ham or Baby Swiss Cheese - $6.99 lb. Jennie-O Oven Roasted Chicken Breast or PC Provolone - $5.99 lb. Tobin's Meat Bologna - $2.99 lb. 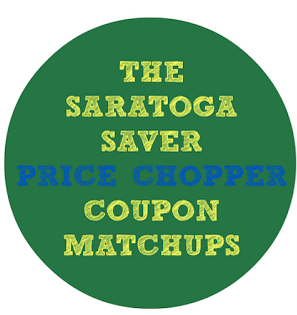 Do you know if Price Chopper accepts coupons from Four Seasons Natural Foods Store? There is a $5 off $25 coupon in the Clipper magazine and I wasn't sure if I could use them as a competitor coupon at Price Chopper. Thanks! I think they should depending on how close you are to it. I know my store on Ballston Ave is very good about that, you just may want to ask at Customer Service first in case your cashier is unsure. I also go to the ballston spa store. I'm finding that more and more of the cashiers don't know how to process competitor coupons and have to call someone over to help. Some "supervisors" take the target competitor coupons with no issue, while there is one that does not. He will say as a courtesy we will accept it this one time, but won't in the future. Any suggestions on how I can address this? Is it up to each store to determine who they consider a competitor? I wish there was some consistency. 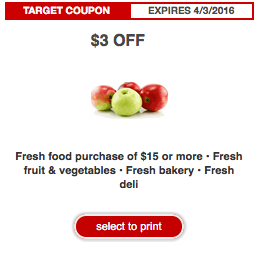 For the Target coupons Price Choppers coupon policy states that they are accepted so you may want to print it out and carry it on you in case you have an issue but for other competitor coupons generally the manager has the final say. The manager for the store in Saratoga on Ballston Ave said they would take Fresh Market, Healthy Living Market and I would assume Four Seasons as well. He said if a customer ever has an issue with a competitor coupon not being accepted at the register to just ask for him. Thank you Erin!!! I appreciate the info.